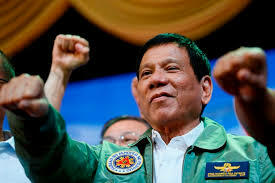 Newly elected Philippine President Rodrigo Duterte. He threatens to kill 2 million drug addicts and dealers. Colombians rejecting a peace deal with the FARC that was highly desired by both the majority of the Colombian capitalist class as well as international capital. Now the rise of the idiot “Pirate Party” in Iceland. It seems that all around the world, not only is the global (capitalist) order breaking down, so are the arrangements within capitalist society that keep capitalism functioning on an even keel. It’s not that workers were benefiting from the previous order, but the breakdown threatens to be at least as much if not more harmful. And this doesn’t even begin to take into account the rise of religious fundamentalist, sectarian strife, wars like that in Syria, etc.